Hi crafty friends, long time no see! I took a break to go up to Ontario for a long weekend at the end of September and then just sort of fell into a blogging funk. I have made a few cards while I was “away” and I hope to share them soon. But up first, here is a card for the latest Little Tangles and Inspired by all the Little Things challenges. 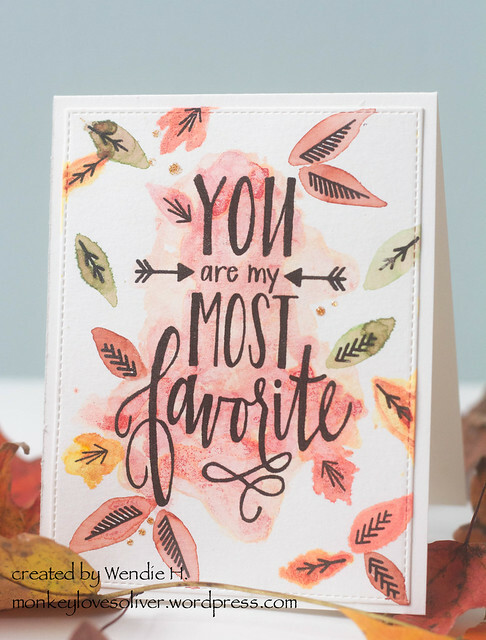 This card is my ode to Fall. Fall is my most favorite season. It seems to be off to a late start in my neighborhood, but temps are finally cooling off. We’re not getting a great color change, so I’ll just have to make my own! I started off by stamping Neat & Tangled’s My Favorite sentiment with VersaFine and embossing it with clear powder. Then I stamped the various leaf veins from the Scandinavian Prints set. 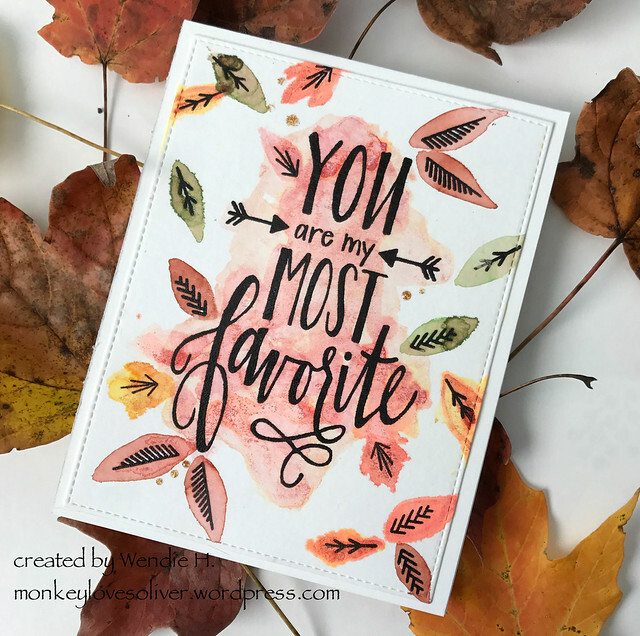 Then I used various dye inks to “color” the leaves (from Hero Arts: Pale Tomato, Fresh Peach, and Butter Bar; from Papertrey Ink: Americana; from My Favorite Things: Gumpdrop). To do this, I smooshed the ink pads onto my craft mat surface and loosened them by spritzing a little water. Then I took a wet paintbrush and painted the leaves and around the sentiment. I finished off the card with a few Nuvo glitter drops in Golden Sunset. And before I go, here’s a shot from my long weekend. 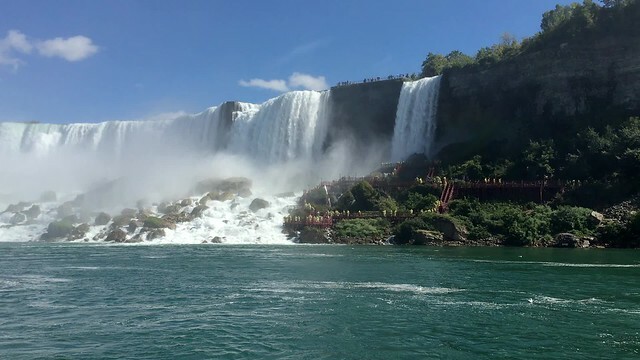 We took a ride on the Hornblower (the Canadian version of the Maid of the Mist) at Niagara Falls. Always a fun time and a great way to see and feel the power of the Falls. Oh, I love this, Wendie! Wonderful take on the inspiration photo! Oooh, this is so pretty! Thanks for joining us at Little Tangles! Super card!! Beautiful colors and I just love the sentiment!! Very cool design Wendi, I love the tones of those ink colours in watercolour. Thank you for sharing with us at Inspired By All the Little Things.